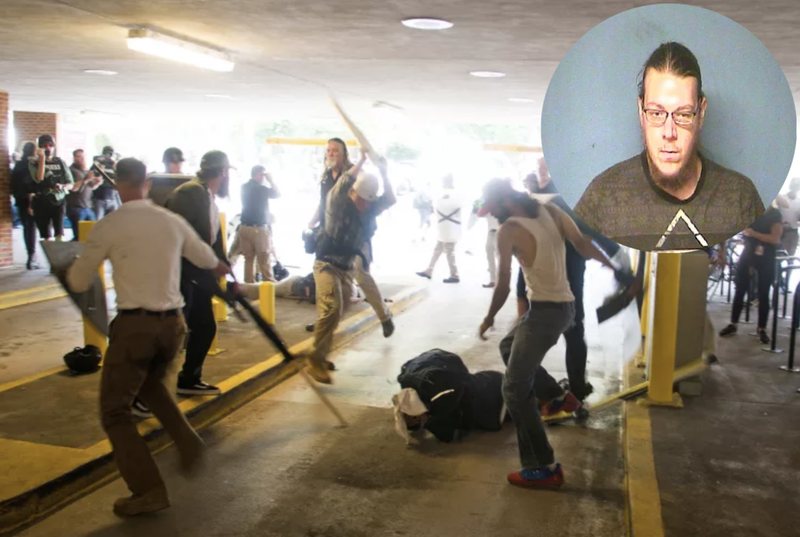 A white supremacist is now looking at 10 years behind bars for his role in the Charlottesville, Va., parking lot attack on DeAndre Harris. Jacob Scott Goodwin, 23, of Ward, Ark., was found guilty of malicious wounding in the August attack on 20-year-old Harris. The Associated Press reports that on Tuesday, Goodwin tried to convince a jury that he was acting in self-defense when he was armed with military riot gear and poles as he and his white supremacist cohorts attacked Harris during the Unite the Right white supremacist rally in Charlottesville. “[Harris] came running at me from right side and fell down or tripped for some reason. So when he tried to get back up, I kicked him because he was previously running towards me,” Goodwin stated. Goodwin also alleged that he didn’t see any other men attacking Harris; he thought he was the only one. I guess he was blinded by all of that white supremacist rage. After three hours of deliberation, the jury found Goodwin guilty and recommended 10 years and a $20,000 fine, as well as entering a rehabilitation program. Do they actually have rehabilitation programs for white supremacists? Is it taught by Tim Wise? “We’ve worked very hard on preparing this case against Mr. Goodwin, and so there is a great deal of satisfaction that we do feel a just result was achieved,” said Joe Platania, Charlottesville’s commonwealth’s attorney. Last month, Harris himself was found not guilty of malicious wounding, which some felt was an absurd charge to be brought against him to begin with. Several other men involved in the beating are heading to court soon as well. Hopefully they’ll be able to say goodbye to Goodwin before his sentencing in August.